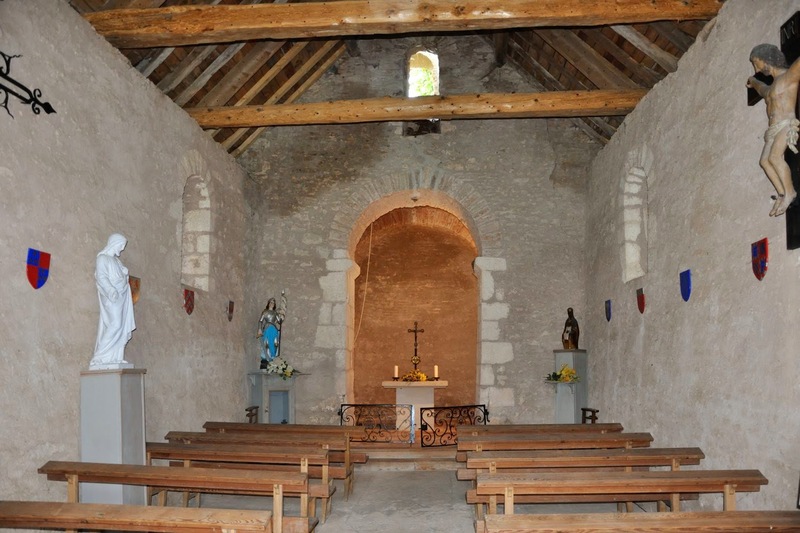 We had already seen the church or chapel of Nancelle, a hamlet near Mâcon from a distance. The chapel however is located on private property and in private hands, and a sign “Beware of the dog” certainly stopped us from sneaking in any further. Recently I heard from van Boxtel, that he had contact with the owner, and that he was invited to visit the chapel. 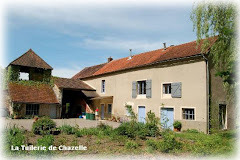 However, he does not exactly live next door, and he had mailed the owner that he could not make it to France this year anymore, but that he knew someone who lives in the neighbourhood and who is also interested in the subject. We received the phone number, made the call, and we could pop by the same day. The owner and his wife were a very amiable couple. I was allowed to photograph to my heart’s content, we were given a very interesting tour in and around the chapel, were told the history of the place and were assured that we could freely use the pictures I had taken and the brochure he had composed. Hence this picture album! And if we wanted to know anything at a later time, we should not hesitate to give him a call. Of course it was very convenient to have an invitation. 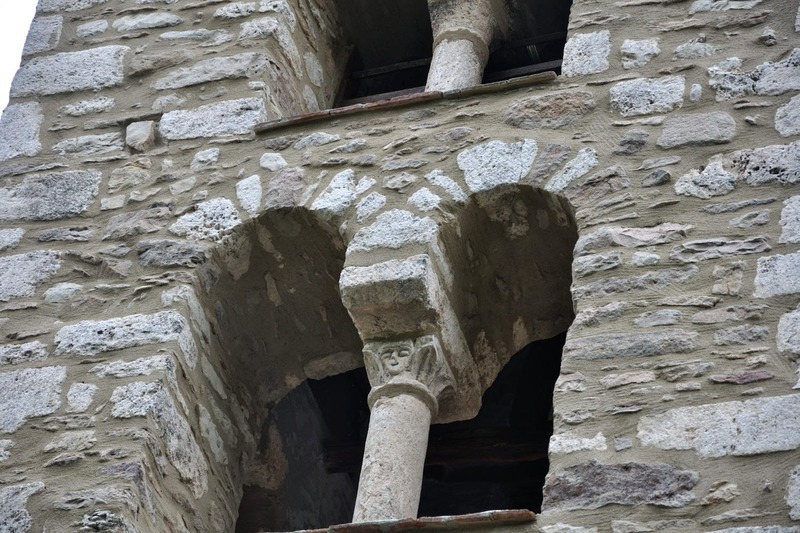 However, I am convinced that those who are really interested in this little Romanesque gem, and who take the trouble of finding their way to Nancelle will find the owner most likely more than willing to give those who ring the bell at the gate the same treatment we received! Whilst trying to sort out the last Romanesque churches in 71 I had not seen yet I did not have high expectations anymore. 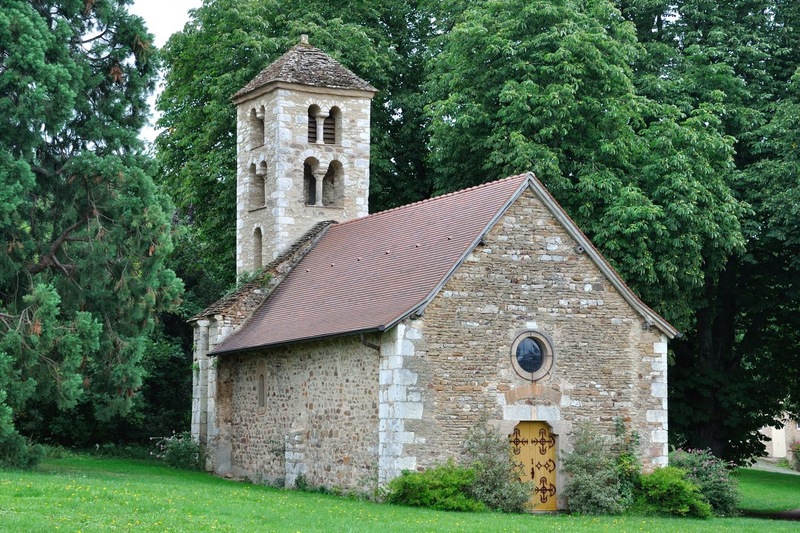 Saint-Léger-sous-Beuvray was such a church. At arrival I found a plaque on the wall saying, that the present church was built between 1856 and 1858, and that it had had 4 predecessors : a 4th C. pagan temple, a 7th C. church, a 12th C. Romanesque church and a 16th C. church. That did not sound very promising. 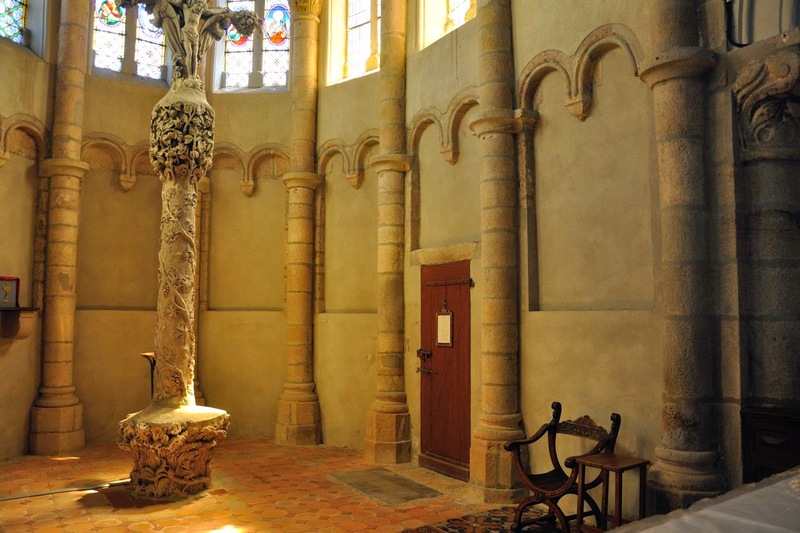 According to the brochures of Pastourisme, of which I found one in the church, the choir was partially Romanesque. A few lines down, in the same folder it even mentioned the whole choir as being Romanesque. 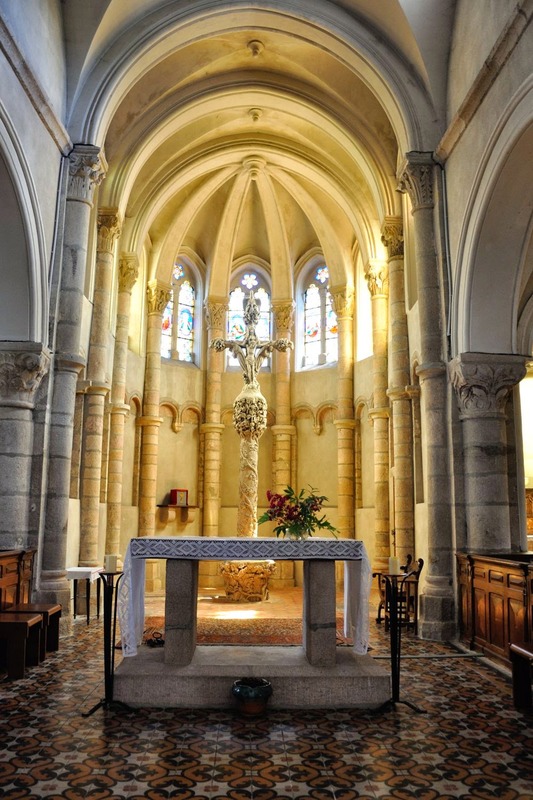 When we entered the church, I was struck by the beautifully lit apse, which had in the centre a lovely cross (1852). It seemed that this might be an interesting discovery. 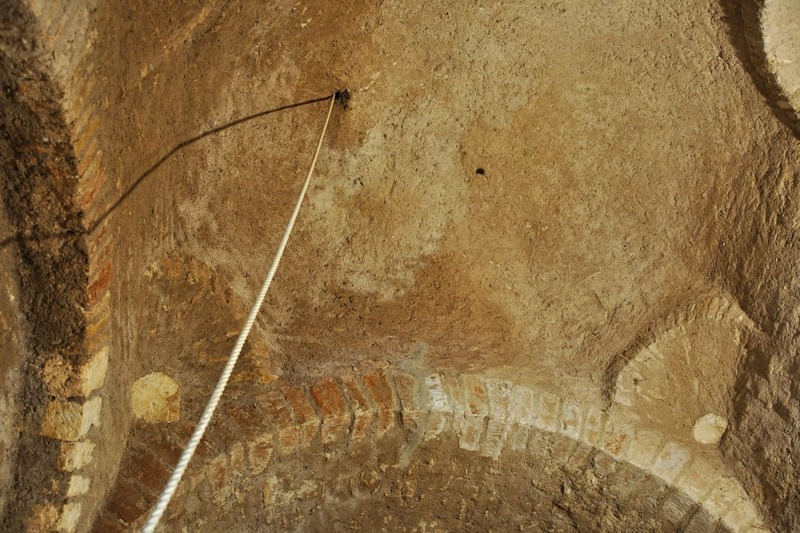 The strange thing about the apse was, in my opinion, the shape of the arcatures. I have seen quite a few of those arcades, but these shapes seemed new to me. For some unclear reason they resembled to me something I had seen in some English Norman churches. 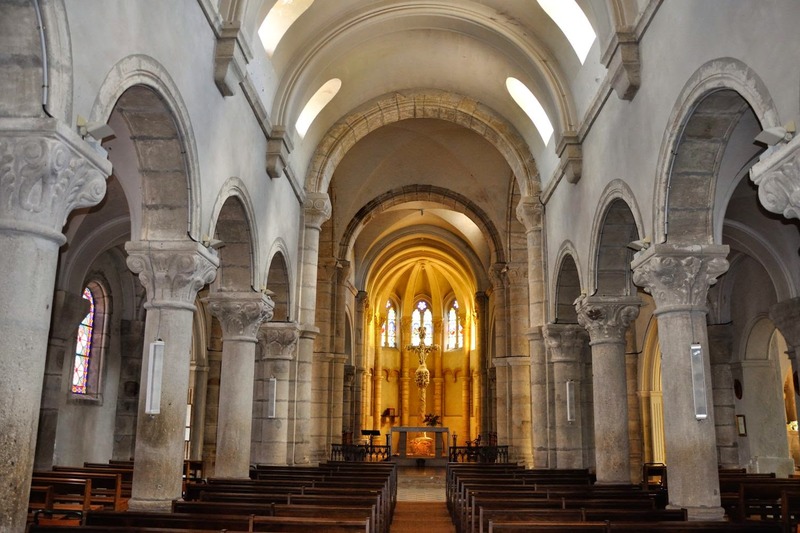 But anyway, when Pastourisme declares something to be Romanesque, it has to be Romanesque! Hence I started an extensive photo session. Each capital, the arcatures, each interesting detail, etc. was photographed. Whilst taking pictures of the choir I stumbled upon a pilaster canelé (fluted pilaster) which was according to Pastourisme "modelled after the pilasters of the Cathedral of Autun". In my view they could have been old, but they could also have been neo-Romanesque. Anyway, it looked old enough to merit a picture. After I had passed on the pictures to "Le Site sur l'Art Roman en Bourgogne" the answer came quickly. 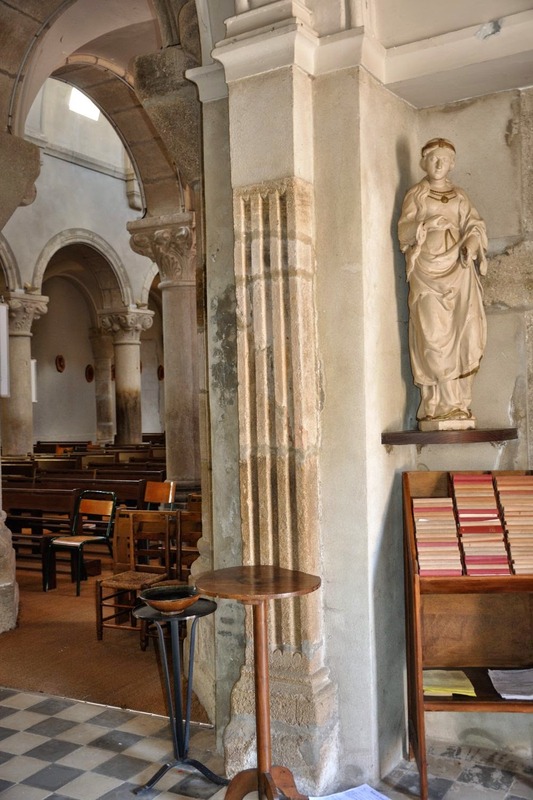 The church was only worth one lousy star, and only because there were some old fluted pilasters from the Romanesque period to be found in the church! Which proves that appearances can be deceptive, certainly when one lacks thorough knowledge of the subject….